I once attended a conference where the key note speaker's take away for the audience was "take a two week vacation sometime." So we did. 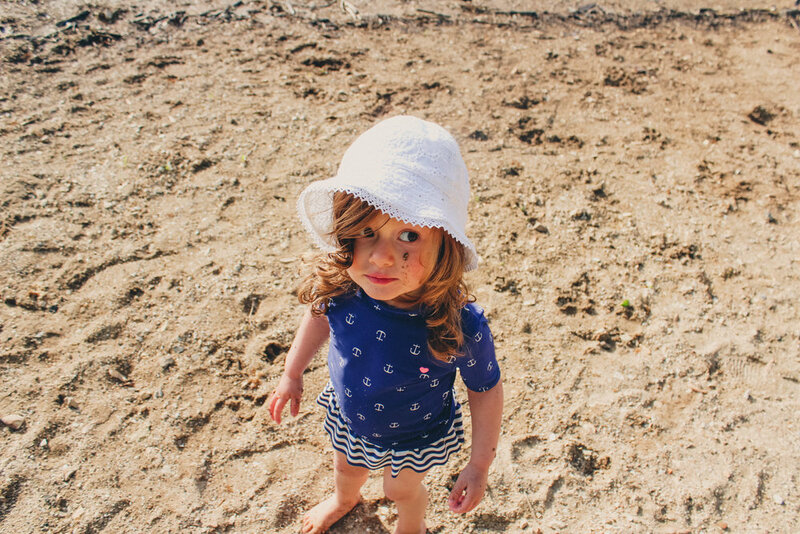 We went to Osage Beach, Missouri, which was a completely "last minute" destination decision; we ended up loving the time we spent there. 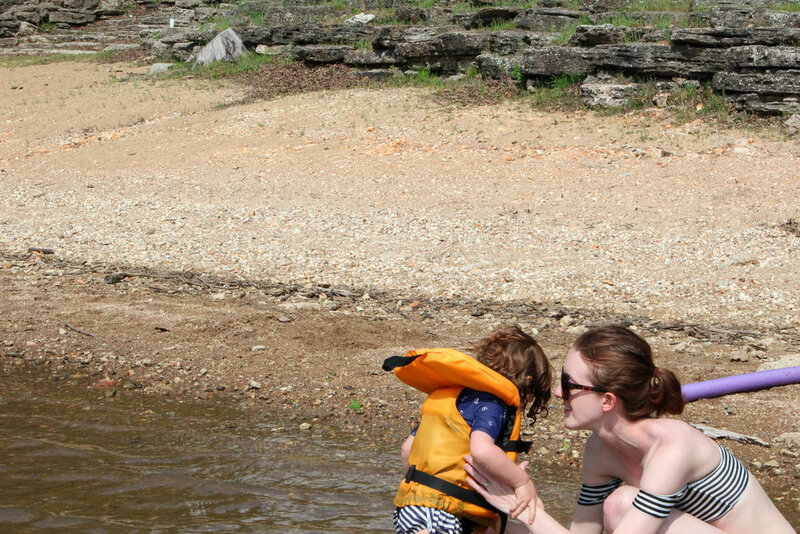 We camped at Lake of the Ozarks State Park and loved the water front campsites, hiking trails, and wildlife (minus the the raccoons, who are VERY skilled at getting through double-walled Rubbermaid food boxes). If you camp here, we highly recommend bringing a hammock to enjoy those waterfront views and warm breezes; it's also a great place to catch up on some reading! 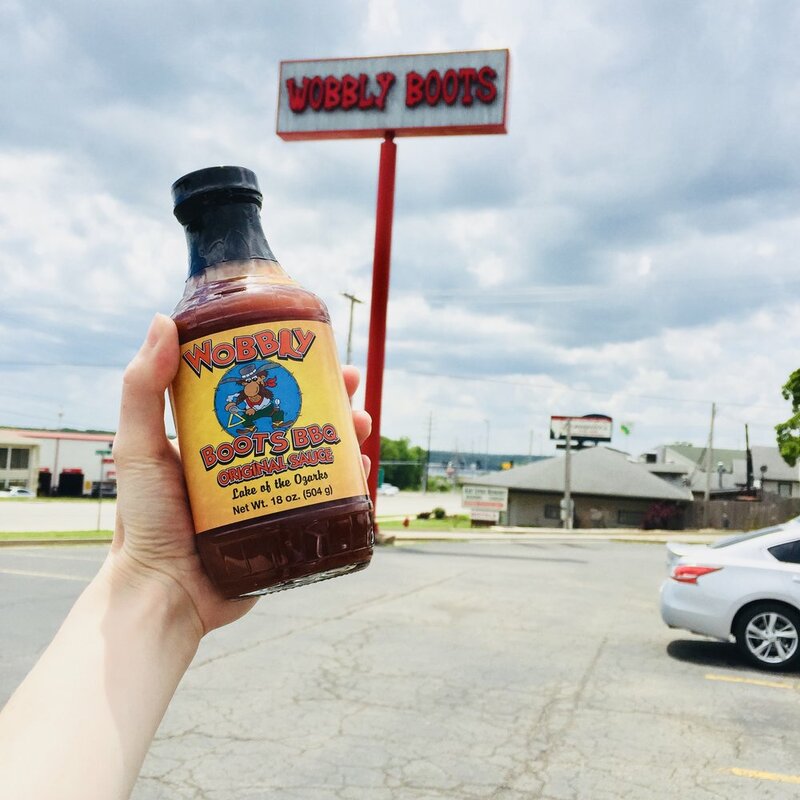 When we went into town we made sure to pick up some Wobbly Boots BBQ sauce to bring home. What better souvenier than something you can use to slather meat! By pure chance, we ended up making our trip the weekend of the Magic Dragon car show--a street meet that occurs each year and draws in cars and crowds from all over. The show apparently gets its name because the Lake of the Ozarks (90-miles in length) looks like a big dragon when viewed aerially and draws about 1,000 participants and 10,000 spectators. We enjoyed seeing all of the unique vehicles and strolling the streets, although we were certainly happy to return to the serenity of the campground to unwind after the hustle and bustle of the event. If you're in the area during the show or if you're a car affiocionado, we'd certainly recommend checking it out! 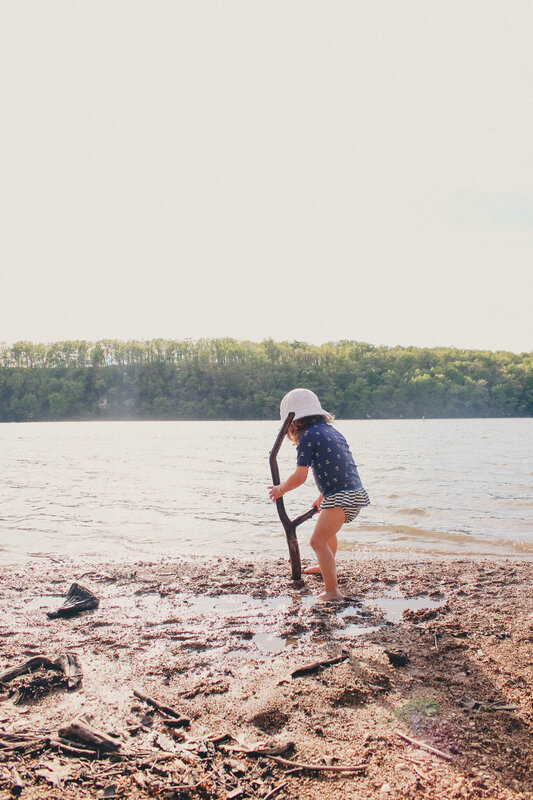 We spent a lot of time during our trip playing with driftwood, observing great blue herons, canoeing, and hiking. 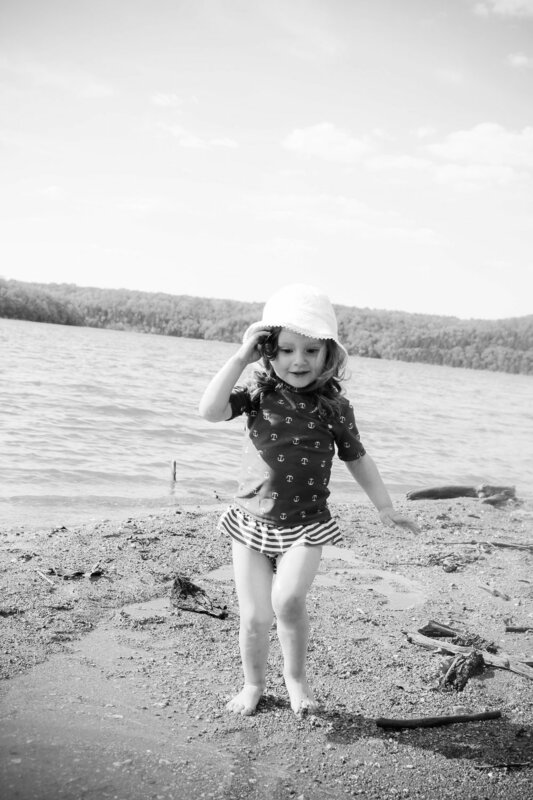 But our absolute favorite place was the beach at the state park. 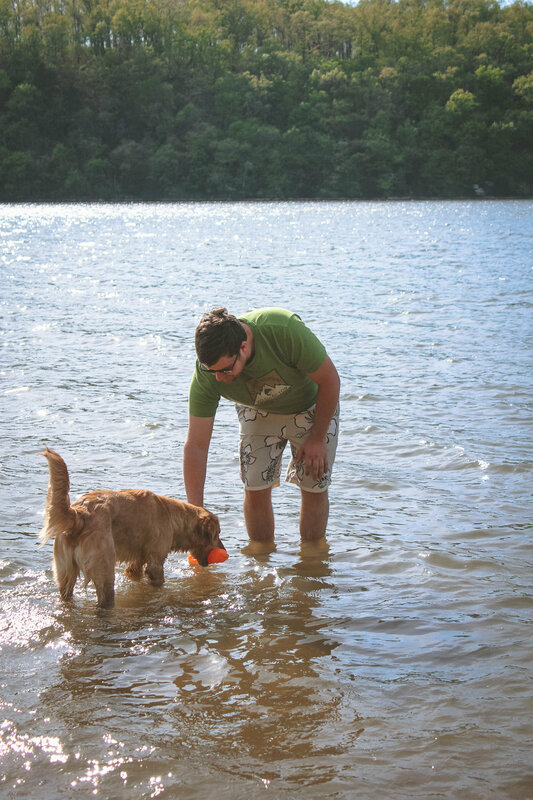 It was warm for late spring in the midwest, the water was shallow for the little, and the scenery was serene. 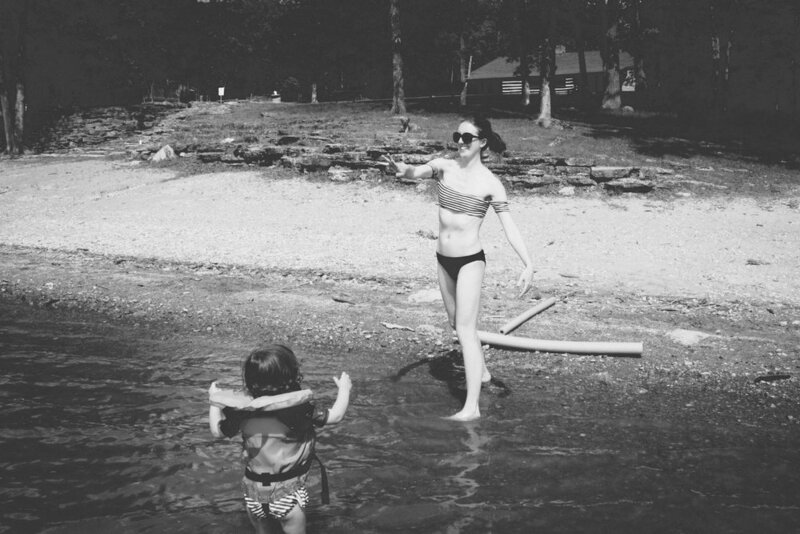 Fun was had by all on this vacation!